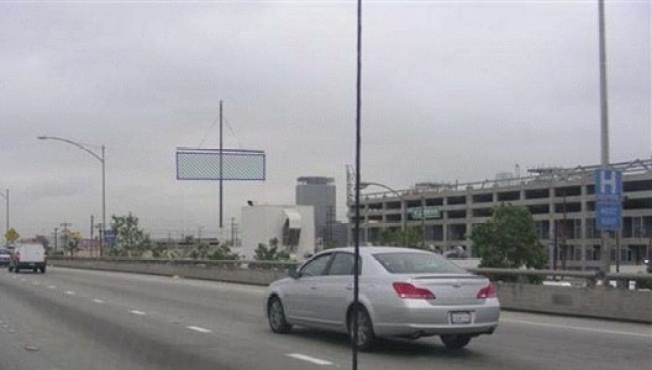 Late last night, the Senate shot down a bill that would have allowed an exemption to the statewide ban on freeway billboards, including those near downtown's entertainment district. But how low can you go? The bill was introduced after midnight and attached to another bill (regarding state's whistle blower law). As Dennis Hathaway of the Coalition to Ban Billboard Blight notes, this was a way to "keep everything under the radar." Politicians agreed and shot down the bill. Via the Times: " 'None of us were in the mood for extraneous special interest crap thrown at us in the wee hours of the morning,' Sen. Gloria Romero (D-Los Angeles), explaining her vote against the bill." This move is also tied to LA Live developer AEG's planned billboard signage on the LA Convention Center since those proposed signs require state exemptions. It's not entirely clear to us what this means for the future of downtown signage, but we'll update shortly. Meanwhile, that legislation that would have provided incentives to film companies to stay in California was also shot down.